Here are five reasons why you should add surveys to your WordPress website. One of the best features of WordPress is its focus on building community and interaction with your content through comments. Not only is this great for SEO because it is seen as unique content to search engines and thus improves your visibility but also it allows you to get to know your audience at a deeper level. But if you really want to get to know your audience and exactly what they are thinking nothing beats a well designed survey or poll. The key phrase used there was well designed because if you ask the right questions you literally can have any question you have answered by the very people who matter most to you. When using an online tool such as WordPress to host your surveys you benefit dramatically from cost reductions. Before the Internet surveys were still a popular tool but the method of collecting responses was much more costly in having to pay people to collect responses from people in malls, shops and even homes (government polling). But nowadays this is no longer an issue and you can have access to same advanced information about your specific audience using a tool such as SurveyMonkey or the more cost effective WPForms Surveys. Survey tools for other platforms can often times be a nightmare to use. But if you are using WordPress this will not be an issue for you because the people behind WPForms have finally released their most requested feature of surveys and polling. 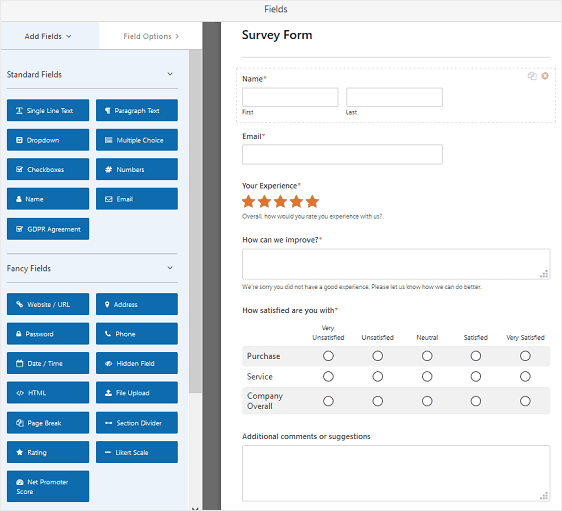 WPForms make the easiest to use form builder on the planet and they have brought this expertise in online graphical UI (user interfaces) to full use for their clients who want to add surveys. 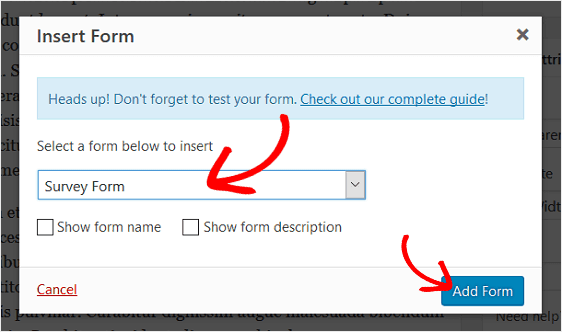 And because it integrates with WPForms you can do more advanced functions such as smart field tagging where fields you have already created in forms automatically can appear in your surveys and polls if you want. Another great feature is their templates which means you can have the basic skeleton of your survey or poll up in under a minute. See a demo here. Once you have your survey or poll up the next most important thing is the ability to get a visual report of the data collected so that you can get the insights you need to make better decisions. With WordPress this is now so easy because you just log in as you always do and there on your dashboard you can get a live update on what is going on. Naturally the level of reporting depends on what type of survey plugin you use but even basic free ones offer a level of reporting and ease of use that marketers would have dreamed of in the pre-Internet era. The end result of all this should mean more sales. How? It’s all in the way you phrase and word your surveys and polls. If you ask the right questions you can literally get people to tell you the exact products and services they are willing to spend money on. All you have to do is login into your WordPress look at your visual reports and look for the trends in the answers you receive. Add this information to a project board called Ideas and Opportunities and now you should have at least one great new product idea that you have confidence will sell. Who knows you might even have 10! 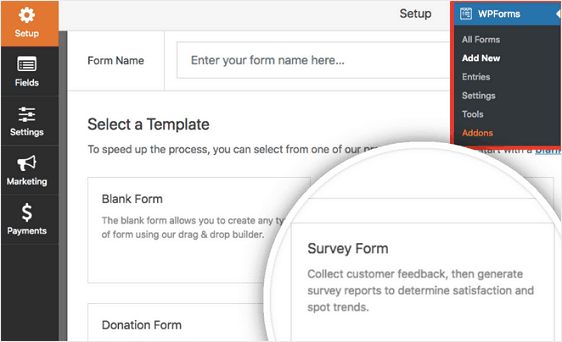 How do you add surveys to WordPress with WPForms? You will now see all the fields you can use to create your survey. Edit fields with the usual WPForms ease and activate reporting to display results of your survey. This is done by default when selecting survey template but not other templates. And VOILA you now have a survey form on your WordPress website.